Have you ever been to a church potluck? When I was a kid, I loved them. I remember the church potlucks specifically because our congregation had what seemed like a thousand people (probably less) and therefore the selection of food was out of this world. Since my childhood church potluck days, I’ve also attended work potlucks, and neighbourhood potlucks. 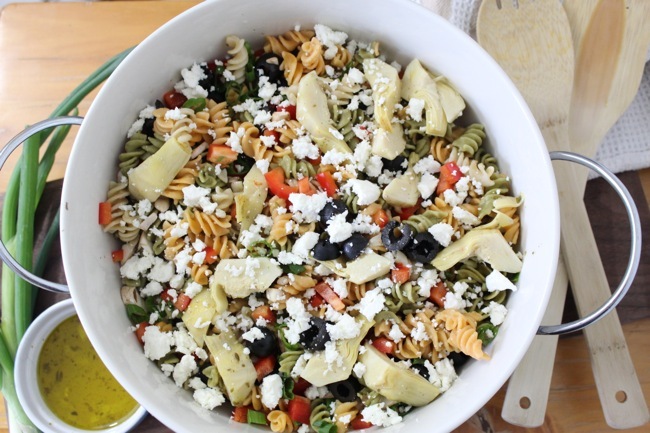 One has remained a common denominator to all potlucks: the pasta salad. There is always a pasta salad, if not several to choose from. You are either team pasta salad or not. I’ve eaten pasta salads made so many different ways, it would be too long of a list to share. From extra rich and creamy, to loaded with meaty toppings. I know what I like and friends – I like this way the best. 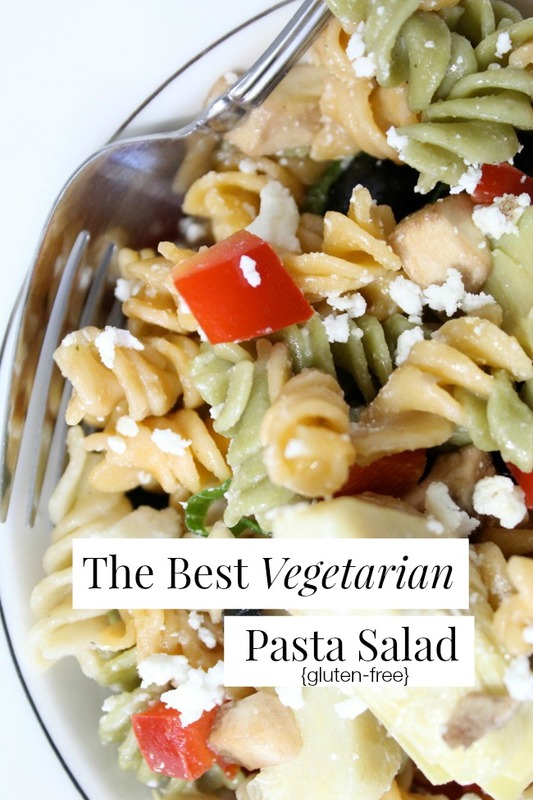 In my humble (awesome) opinion, I think that a delicious pasta salad should have plenty of vegetables, a light tangy homemade dressing, and a sprinkling of sharp cheese. If you don’t eat dairy, then may I suggest a Vegan Parmesan ? 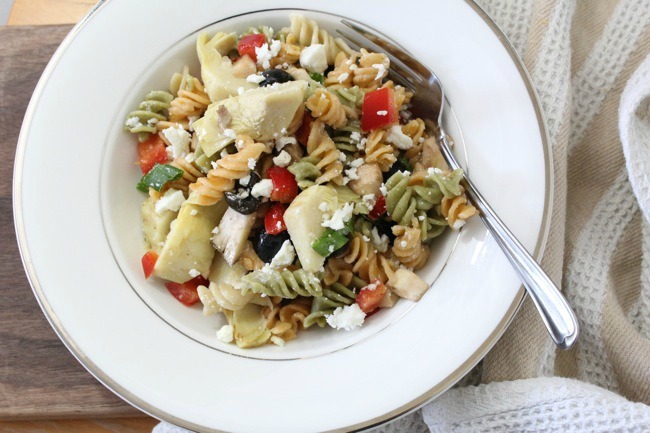 With that combination, you can create a winning pasta salad that complements many main meals and is a guarantee show stopper at your next potluck. 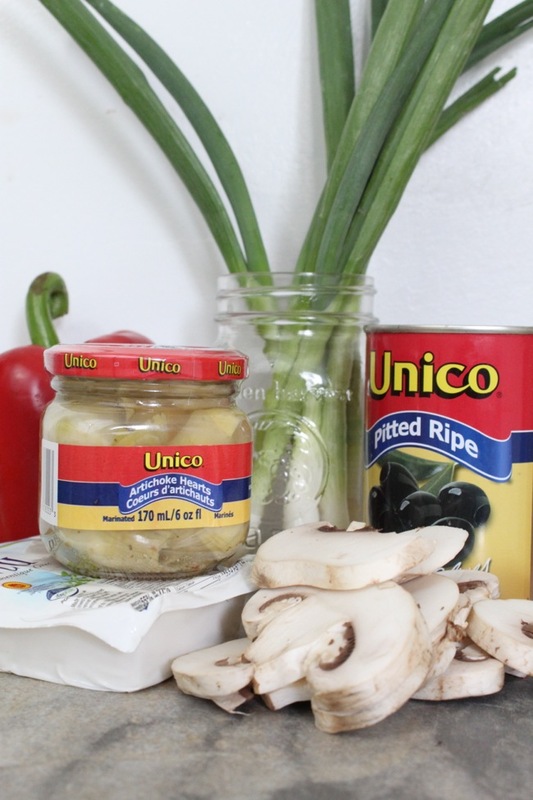 Which pasta cut works well for pasta salads? My preference is either spiral (rotini) or penne. 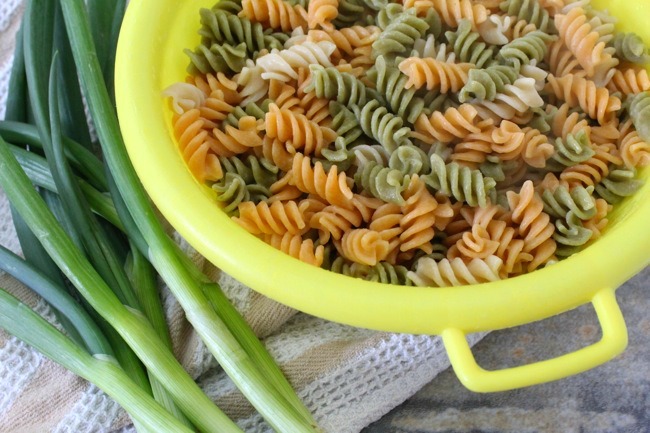 For this recipe, I used a gluten-free vegetable rotini pasta for the taste and appearance; colourful pasta sure makes a lovely presentation! I’m serving this up as our main meal for a delectable meatless monday. 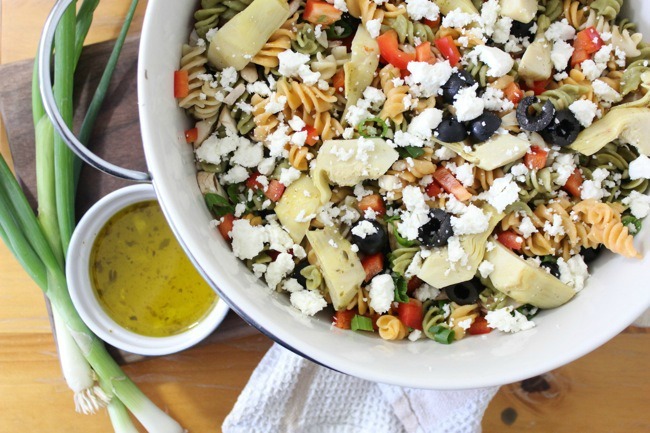 Try it and tell me if it isn’t the very best pasta salad you’ve ever had! Sssshhhhh…..I promise I won’t tell Grandma. Cook and drain pasta, no need for rinsing. Prepare all vegetables, toss in a large mixing bowl. Add the pasta. In a large jar, mix dressing ingredients. Close top and shake well to incorporate. Pour over pasta and chopped vegetables. Refrigerate for 30 minutes. Add in feta before serving and stir to combine. 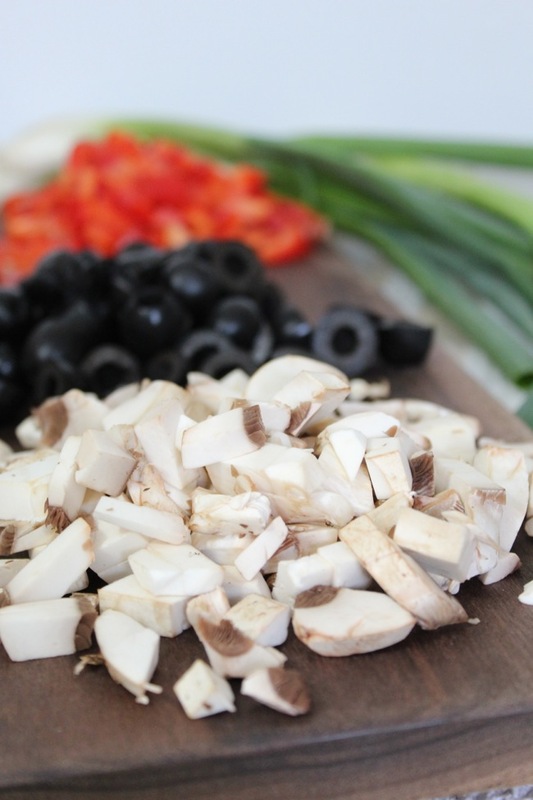 Serve and enjoy this fresh, healthy salad! 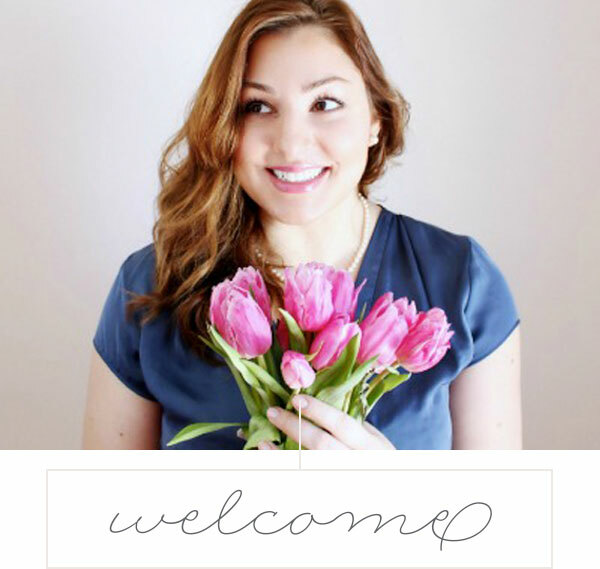 I have a church potluck coming up and I am going to make your pasta salad recipe. This looks refreshingly yummy!! I too am going to give it a try. I’ve been to a lot of potlucks in my time – they seemed to be the way things were for ’90s socializing. I’m on Team Pasta Salad when it’s not gloopy or watery – yours seems perfect and full of great flavour and texture. This looks like a great, gluten-free recipe to try out! My husband will love it!